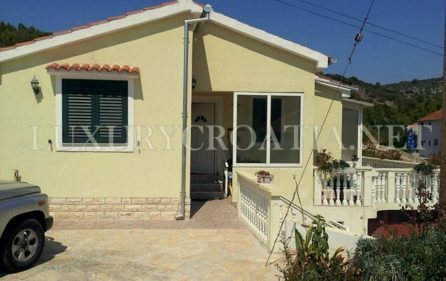 House for sale in Vela Luka Korcula island residential area takes up 75 square meters with the possibility of extension or upgrading. The parcel surface covers the surface of 700 square meters and it is fenced and paved with stones. Around the house, there are three gardens which are also fenced. 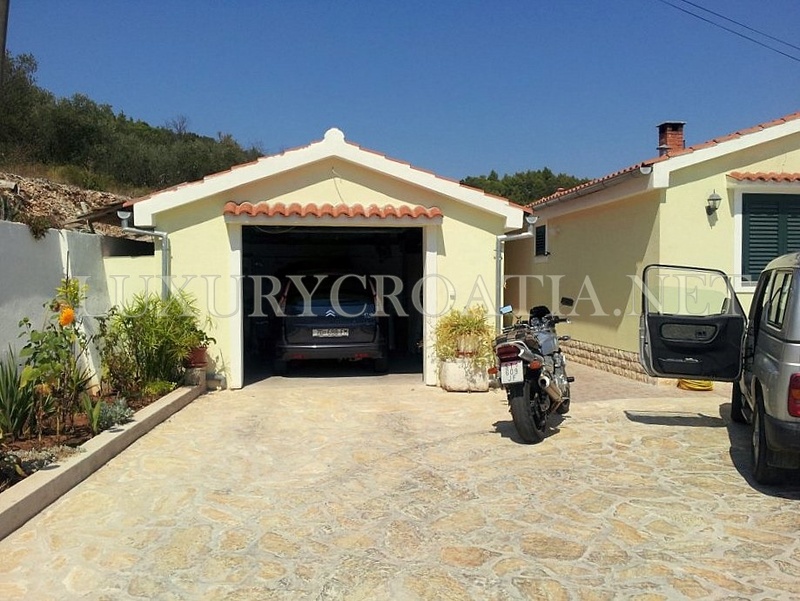 Access to the house is possible by car, there is also a parking place for a few cars and a private garage. 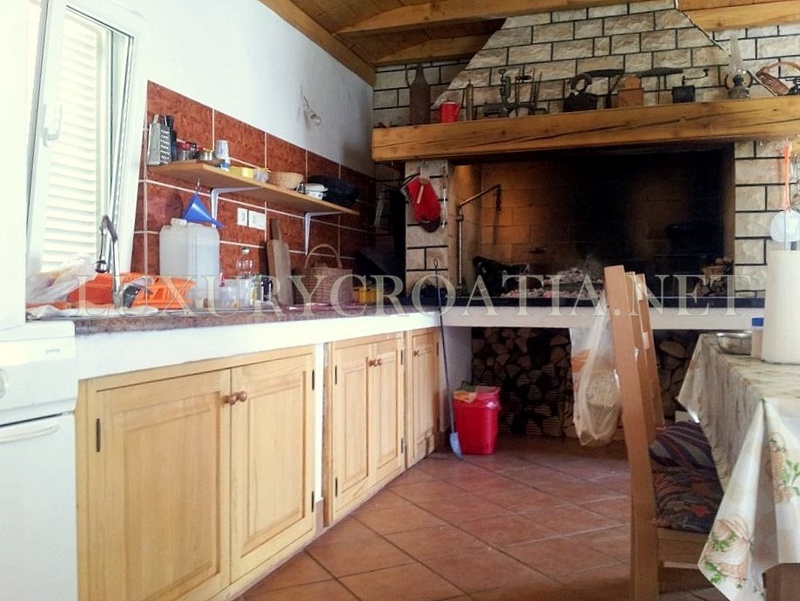 House also has a closed fireplace in a separate room which surface is 30 square meters. 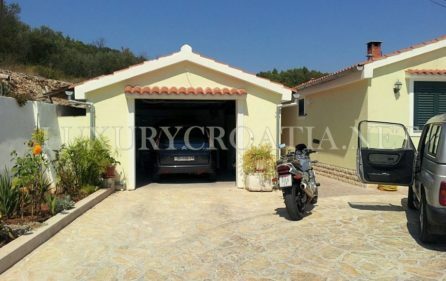 House for sale in Vela Luka Korcula island also consists of a kitchen, 2 bathrooms, 2 bedrooms, and 2 basements. Korcula is one of the most densely wooded islands in the Adriatic. The landscape of the island of Korcula is enriched by olive groves and vineyards which represent a traditional source of life and income for the population of the island of Korcula. Korcula is considered as the pearl of the southern Dalmatia and offers to its visitors picturesque walled old town of Korcula, magnificent coastal panoramas, dreamlike fishing villages, and stunning coves. 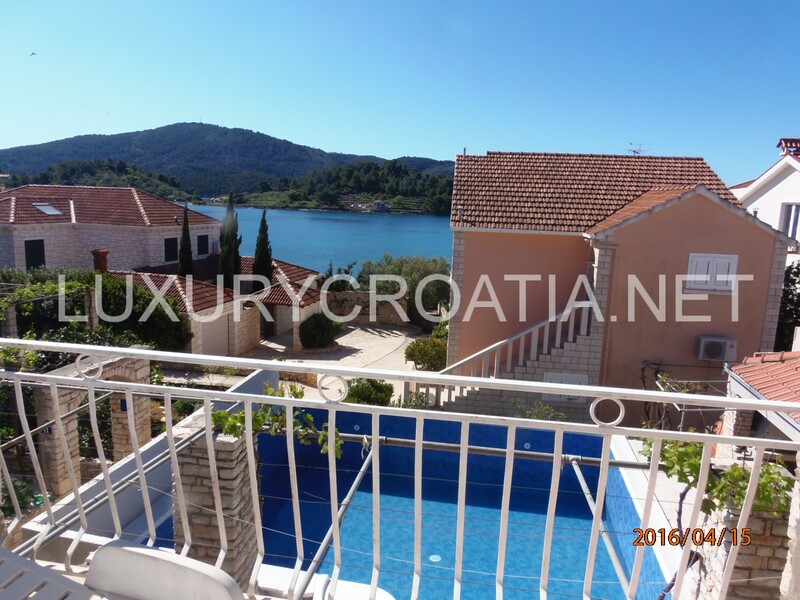 The coast of the island of Korcula is very indented with a large number of bays and coves. 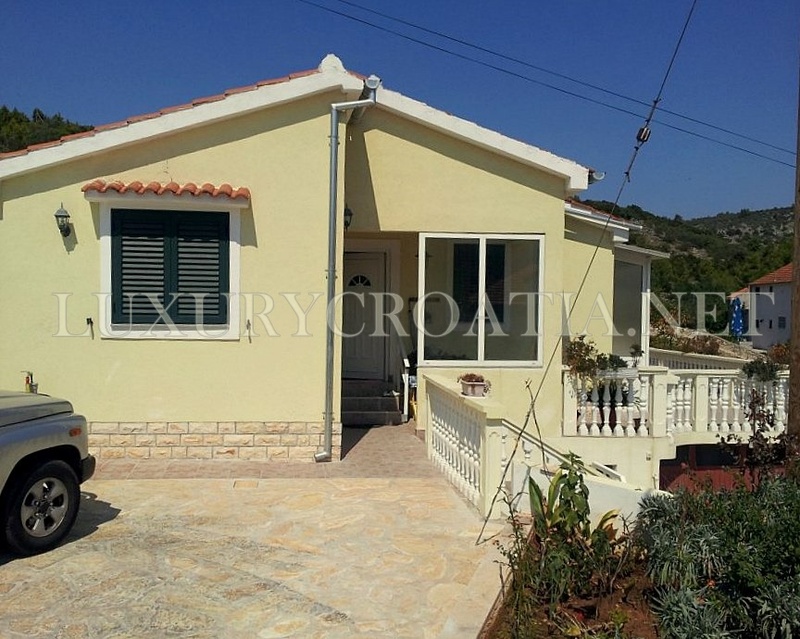 Its north shore is rather low and easily accessible with several natural harbors: Korcula, Banja, Racisce, Vrbovica, Babina, and Prigradica. The island of Korcula represents a unique fusion of beautiful nature, thousands of years of cultural tradition and history, and modern tourism. Numerous beautiful beaches and bays, luxurious hotels and summer houses, centuries-old olive groves and vineyards, and ancient towns and villages on the island which seem as if they have remained lost in some long past time attract tourist from all over the world to this island. Korcula is among the most beautiful and best preserved medieval towns on the Croatian coast and in all of the Mediterranean, and is often referred to as “Little Dubrovnik”.